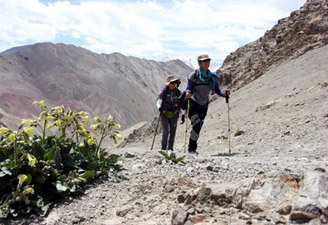 We offer 2 nights & 3 days tour package of Spituk to Stok Trek with Camping in Ladakh. 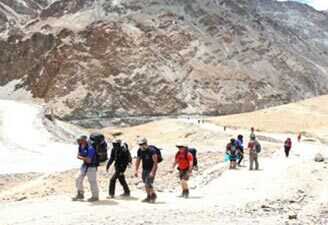 With our Spituk to Stok Trek tour package with Camping explore the natural beauty of Himalayan Region. 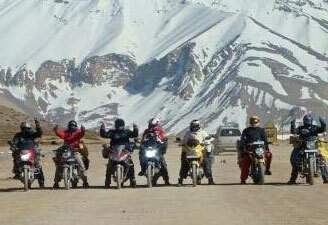 Tour Sector: Leh / Phey / Rumbak / Stok. 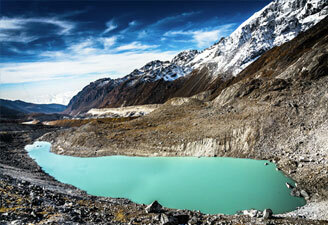 Spituk to Stok trek starts by crossing the bridge and then walk until the Zinchen Gorge. If you are lucky, may spot Snow Leopard signs along the valley bottom of the side valleys if you are trekking during winter or early spring/fall. Meeting & assistance upon arrival at Delhi airport and transfer to hotel for check in. Overnight stay at hotel. Morning after breakfast at hotel, transfer to Delhi airport to board flight for Leh. Meeting & assistance upon arrival in Leh and transfer to hotel for check in. 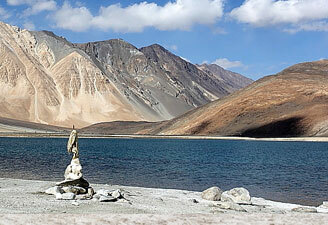 Your Evening hours are free to explore the market of Leh, the Leh Palace and finally the Shanti Stupa. After breakfast leave for visit to Stok Palace Museum, Thiksey, Hemis monasteries, Shey Palace & Sindhu Ghat. Lunch, Dinner & Overnight stay at hotel. 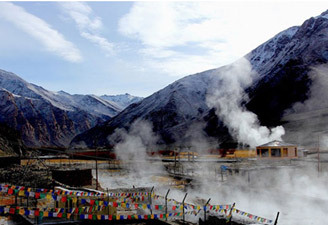 After having the breakfast, drive to Zingchen and start walking through Zingchen Gorge. There is a restaurant where one can stop for tea and snacks. As we continue trekking further, the gorge gets narrower and rugged. 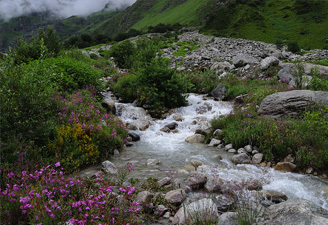 On the way you may see signs of snow leopard along the valley bottom of the side valleys if you are trekking during early spring or winter. As you reach Rumbak fields, the valley suddenly overview with snow covered mountains in the background. From the fields the way turns left eastwards where Home stay facilities are available. Overnight in Tent or Home stay. Breakfast at the hotel. Later, proceed for a full day wildlife tour viewing along with a trained local guide. Various migratory and mountain birds, Blue sheep, the Great Tibetan sheep or the Argali, high altitude flora and occasionally a Tibetan Wolf or a Snow leopard if luck favors. Overnight in Tent or Home Stay. 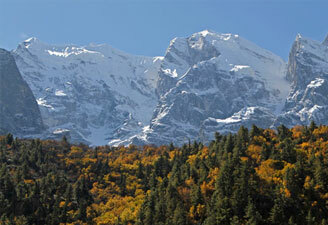 This morning leave little early for your trek up the Stok la pass (4900mts) which may take about 3 hours. Follow the path on the extreme left along the south facing hillside. After one hour the path gets slower as you start climbing up to the pass. 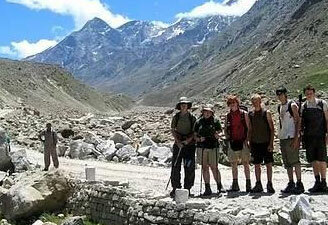 From the pass you can get great views of the Indus valley. 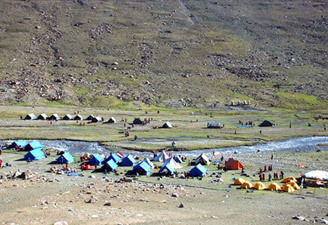 Descend all the way down to the village of Stok. Optional visit to Stok Palace museum. Later drive back to Leh. Upon arrival in Leh, transfer to hotel for check in. In New Delhi, visit the 12th century Qutab Minar gracefully hand-carved for its entire height of 234 ft and the iron pillar, which has withstood the ravages of time and not rusted even after 1500 years. 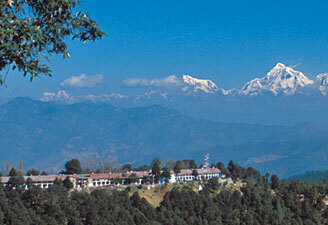 Continue your sightseeing visiting the Humanyun’s tomb and the modern Lakshminarayan temple. Drive past the India Gate (war memorial dedicated to the lives of lais down by Indian soldiers), the President residence- formerly the Viceroy’s Palace, Parliament House and the Secretariat buildings, an interesting blend of the Victorian and 20th century architecture.